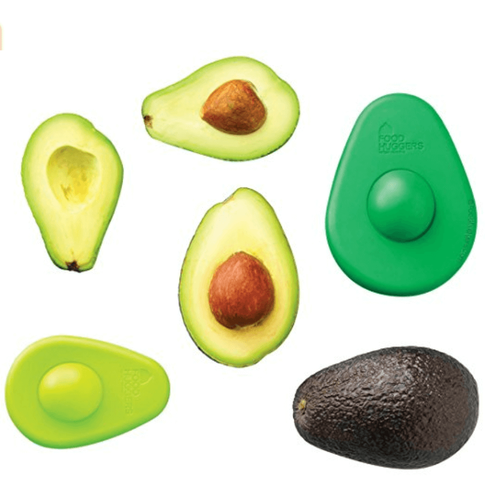 These must-have kitchen tools and gadgets will make healthy eating and food prep fun. Plus, they'll minimize time in the kitchen and help you save space. Whether you're a cooking pro or are still learning your way around the kitchen, use this list for inspiration for your next home goods shopping spree. These kitchen tools and gadgets will make food prep fun and also minimize time in the kitchen and help you save space. They can also help you eat healthier and lose weight! Let's celebrate National Nutrition Month by eating healthier. I'm a sucker for kitchen products! I already know what my favorites are (don't worry, I added some of them here! 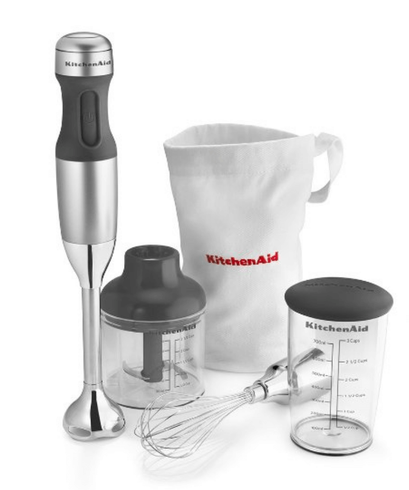 ), so I turned to my registered dietitian nutritionist colleagues to see what kitchen tools and gadgets they consider essential in their kitchens. I hope you find this list of must-have kitchen tools very helpful! 1. Save time chopping garlic. 2. 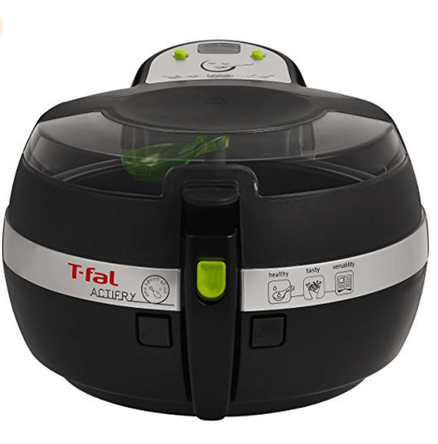 Spin your salad in seconds. 3. Cook without the need to stop and wash.
4. Let your food processor do it all. 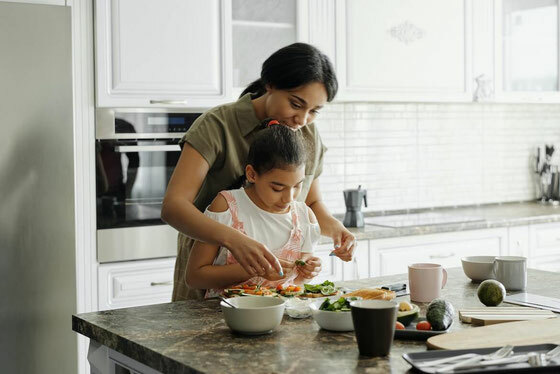 “My food processor is a very useful tool in my kitchen,” says Tracee Yablon Brenner, RDN, CHHC, co-author of Simple Foods for Busy Families and culinary director at Triad to Wellness. “It’s also great to make hummus, pesto, curry sauces, muffins, and baked goods. The interchangeable blades and discs makes it easy to grate and chop onions and other vegetables, as well as to chop nuts and make nut butter.” Yablon Brenner says she also uses the gadget to make nice cream and different types of snack bites containing nuts and dried fruit. Jennifer Hunt, RDN, healthy recipes blogger at Healthy-Inspiration.com, love her food processor, too, noting that she uses it to make mashed cauliflower. 6. Steam the simple way. 7. Blend a soup without the mess. “My favorite tool is my immersion blender,” says Kelly Jones, MS, RD, CSSD, owner of Kelly Jones Nutrition, who suggests using the gadget to prep a Creamy Dairy-Free Tomato Sauce. 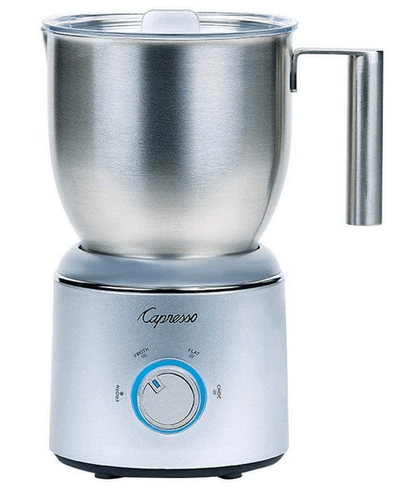 “It’s so much easier and safer to use it over the stovetop to make soups and sauces creamy, versus transferring hot liquid to a blender. It’s also quick and fun to use—and clean up is super easy.” Marie Dittmer, MA, RDN, a nutrition blogger at HealthyIdeasPlace.com, notes that you can also use an immersion blender to prep smoothies and vinaigrettes. 8. Mince garlic in a flash. 9. Easily prep poached eggs. 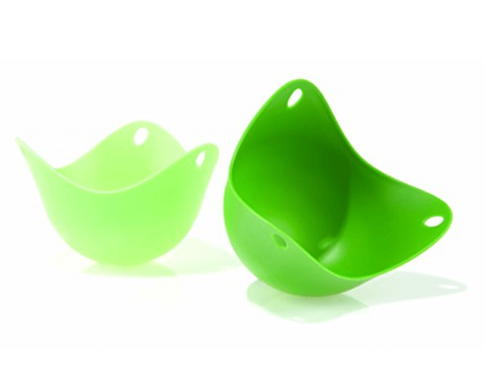 “I love using these egg poach pods,” says Tawnie Kroll, RDN, owner of Kroll’s Korner. Make poached eggs for an eggs Benedict recipe or to serve with fruit and whole-grain toast. “I love it for the ease and because they actually work really well!" 10. Whip up a healthy smoothie. 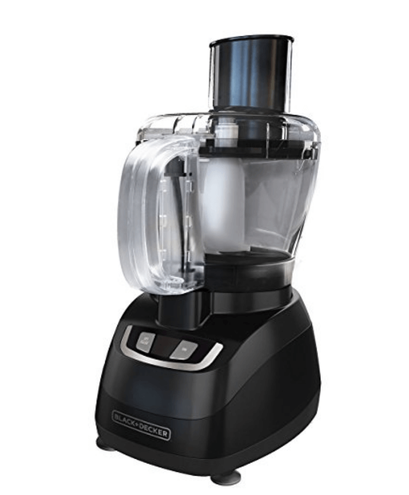 Kathy LaBella, RDN, CSSD, owner of Owner Peak Performance, says that she couldn’t live without her high-speed blender. “I use it daily for smoothies, soups, and other recipes!” she says. 11. Let the microwave do the work. 12. Crush up some aromatics. "My favorite gadget is my Microplane," says Wendy Jo Peterson, MS, RDN, co-author of Born to Eat. "Even when I do cooking shows on the road, my zester goes with me. I love a pop of lemon, lime, or orange." Joan Salge Blake, EdD, RD, author of Nutrition & You and clinical associate professor of nutrition at Boston University, uses her zester in a different way. 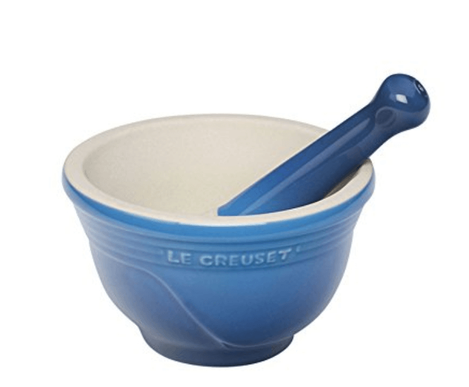 “I use it to put a fine dusting of Parmigiano Reggiano on everything. Chicken, fish, veggies, rice, and of course pasta all get a light coating of this flavorful cheese.” Rachel Begun, MS, RDN, a culinary nutritionist at RachelBegun.com, uses hers to grate ginger, turmeric, chocolate, and mushrooms. 14. Reduce the need for oil. “In addition to sauces and salad dressings, I use fresh-squeezed citrus juices in a variety of dishes,” says Jessica Levinson, MS, RDN, co-author of We Can Cook and nutrition blogger at JessicaLevinson.com. “Citrus adds so much flavor without bumping up the sodium and fat content of recipes. And unlike an electric juicer, the hand juicer is quick and easy to clean!" 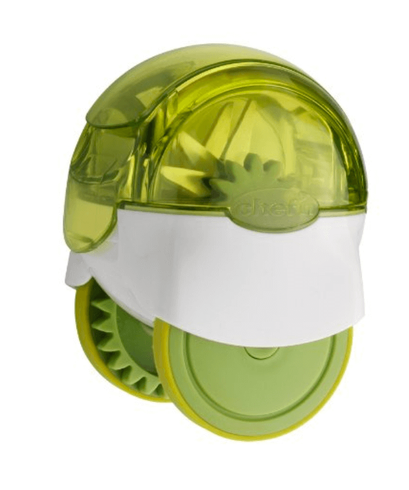 Here's a kitchen gadget that I'm rather obsessed with at the moment. I've stopped making so many runs to the coffee shop for steamed and foamed milk, since this appliance allows me to easily do the job myself. The best part? Steamed milk feels like a treat, yet it contains no added sugar. 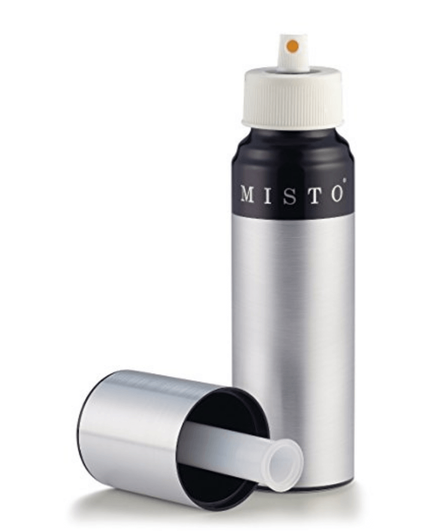 If an electric milk steamer isn't in your current budget, opt for a handheld milk foamer. You'll have to steam the milk first (you can do this over the stovetop), but the gadget is a lot more economical. 18. Sous vide for extra flavor with less calories. 19. Pack in the flavor of coffee. 20. Use an oil mister. 21. Pour less olive oil. "I can’t live without my olive oil pourer, which I transfer to a new bottle each time I start one," says Sharon Palmer, RD, author of Plant-Powered for Life and a plant-based blogger at SharonPalmer.com. "It helps control the amount of olive oil you pour over foods." 22. Get creative with measuring cups. "My favorite kitchen gadget is the measuring cup—and not only for measuring food," says Jessica Spiro, RD, owner of Jessica Spiro Nutrition. "I use a measuring cup as a scoop when I make cookies or veggie burgers for consistently manageable sizes. Also, measuring cups are great tools for toddlers! I love to have my 1-year-old daughter help in the kitchen, and I've found that the handles on measuring cups make it easy for her to put ingredients into the blender, pot, pan, or bowl." 24. Press designs onto cookies. I'm a little obsessed with this product, which allows you to imprint designs like flowers, owls, and the word "love" onto cookies. 26. Make use of a couple of good knives. “I use a chef’s knife and a paring knife for everything,” says Rebecca Livingstone, RD, nutrition blogger at FoodsandThoughts.com. Use a chef’s knife to slice vegetables and mince herbs—and a paring knife to peel produce or remove seeds from jalapenos. She says she loves multi-tasking items because she has limited space. Judy Barbe, RD, author of Your 6-Week Guide to LiveBest, notes that she takes her knives with her even when she camps! 27. Let a vegetable peeler do your spiralizing. 28. Give chopsticks another purpose. 29. Get your own multi-use blender. 30. Use a multi-use cooker for everything. 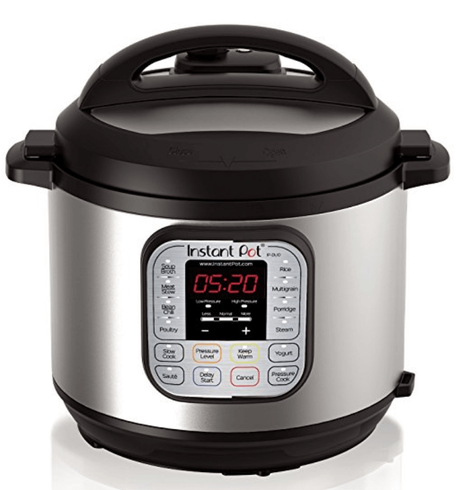 “I finally caved and bought a multi-use cooker, aka Instant Pot,” says Jessica Cording, RD, owner of Jessica Cording Nutrition. “It can slow cook, pressure cook, sauté, and steam.” The Instant Pot can also make rice, risotto, and yogurt (see many more recipes ideas here)! “I’ve been having a great time playing around with my new kitchen toy, and already it’s become a valuable tool that doesn’t take up a ton of space—key for New York City apartment living.” Kelli Shallal, RD, author of Make Ahead High Protein Breakfast Recipes and healthy living blogger at HungryHobby.net adds, "I'm pretty obsessed with my Instant Pot for food prep." 31. Cook grains and lentils in a rice cooker. 32. Cool cookies on stackable racks. When Diana Dugan Richards, RD, owner of Namaste Nutrition, saw stackable cooking racks at a friend's house, she knew she had to own her own set and that they'd top her list of must-have kitchen tools. “They’re sturdy, stackable, and great for small kitchens. They’re also easy to clean and very long lasting—think decades!” Bonus: Richards say her cookies cool evenly with the racks. 33. Color code your food prep. Cutting boards in multiple colors and styles are a staple in the kitchen of Amy Reed, RD, owner of Amy Reed Nutrition. “I line them up when making a big meal or when my kids are prepping their lunches. I can never have too many.” Using separate cutting boards for meat and produce prep is essential for food safety. 34. Sharpen knives for a safer kitchen. 35. Take the guesswork out of temperatures. 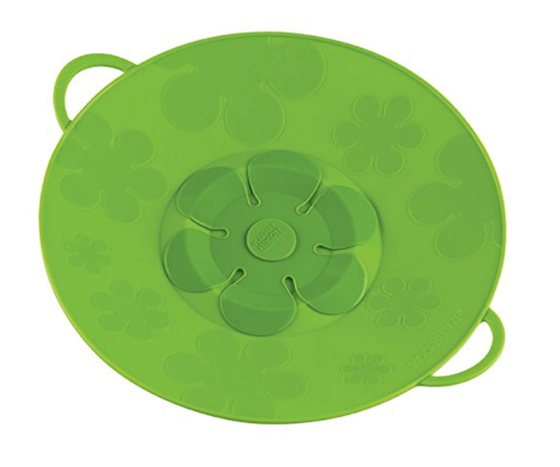 Evelyn Gezo, MS, RDN, professor emerita at Fordham University in Bronx, New York says she swears by her Kuhn Rikon Kochblume Spill Stopper when boiling pasta or cooking beans. “The water never spills over,” she notes. 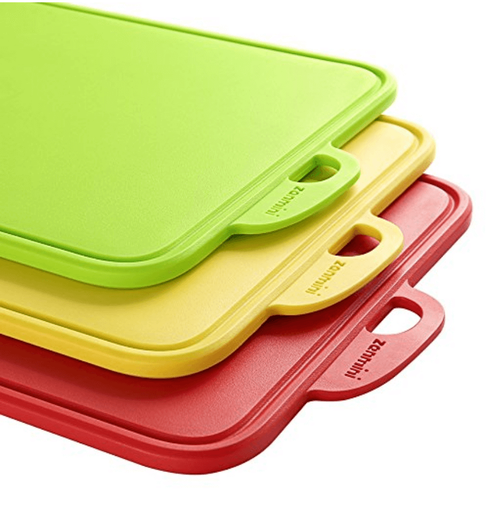 Gone are the days when you need to wipe off your smartphone or tablet after you cook. Prevent spills and splatters with a tablet holder. “Keeping my tablet in the kitchen helps me explore new flavors, techniques, foods, and trends,” says Ellie Wilson, MS, RDN, senior nutritionist at Price Chopper Supermarkets in Schenectady, NY. “One of my favorite kitchen gadgets is a soap-dispensing dish wand,” says Shaylyn Lynch, MS, RDN, a cystic fibrosis dietitian at Drexel College of Medicine in Philadelphia. “Having a sponge with a handle makes clean up easy and quick—without getting your hands dirty."